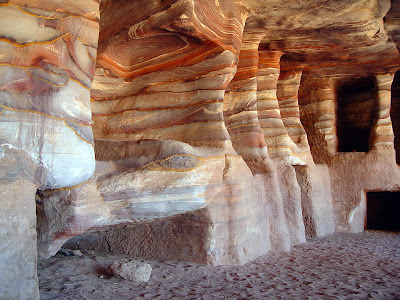 An ancient city of stone lies hidden in a Jordanian valley between the Dead Sea and the Gulf of Aqaba. Petra is carved out of solid rock, hidden by towering pillars of stone, and accessible only by narrow gorges carved through cliffs. Even the city’s name means ‘rock’. 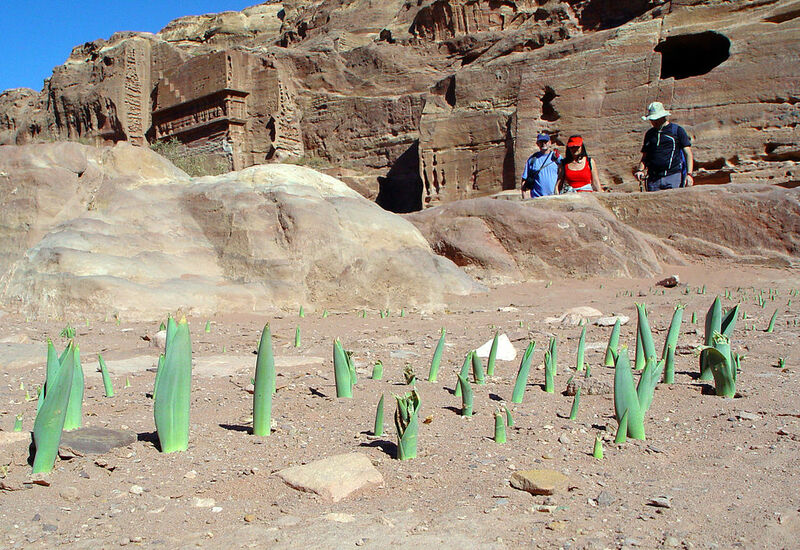 Petra, the Rock, was once a thriving center of trade. It was eventually abandoned, and rediscovered in modern times. 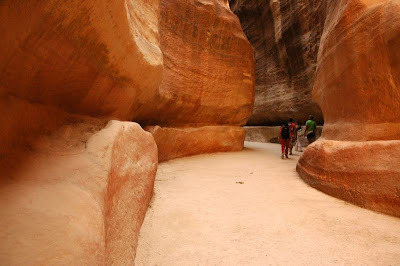 Modern visitors to Petra have to navigate the steep downward path through “the shaft”, a corridor about 10 feet wide that was formed by fissures in the rock and then widened—slightly—as the earth settled. 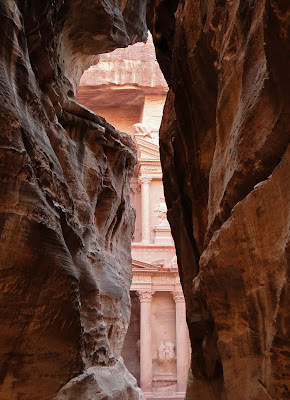 At the bottom, the path turns and visitors catch their first glimpse of Petra in the form of Al Kazneh, or ‘The Treasury’. First-time visitors know what they’ll be seeing: but the first glimpse is still hard to take in. Al Kazneh, Petra’s best known building and most iconic image, is carved right into the cliff face. Al Kazneh isn’t the only building, though; the rest of the city lies just beyond. 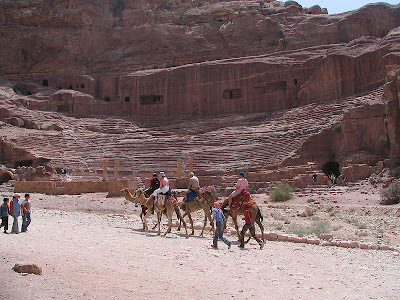 The sights include a Roman amphitheater hewn out of the rock, and numerous lavishly-carved tombs. 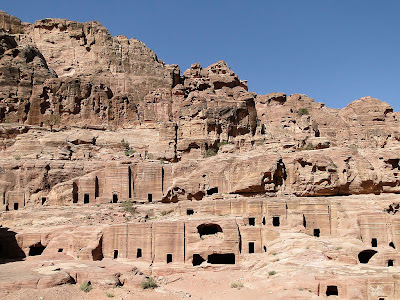 Most of the houses in Petra collapsed during earthquakes, but temples and sacrificial altars remain. 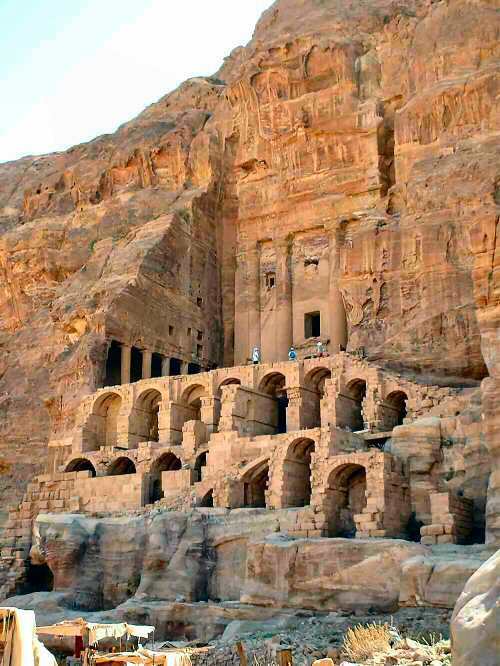 The largest free-standing building in Petra is the Great Temple, which contains beautiful art work and demonstrates the willingness of Petra’s rulers to spend time and money to make their buildings more beautiful. 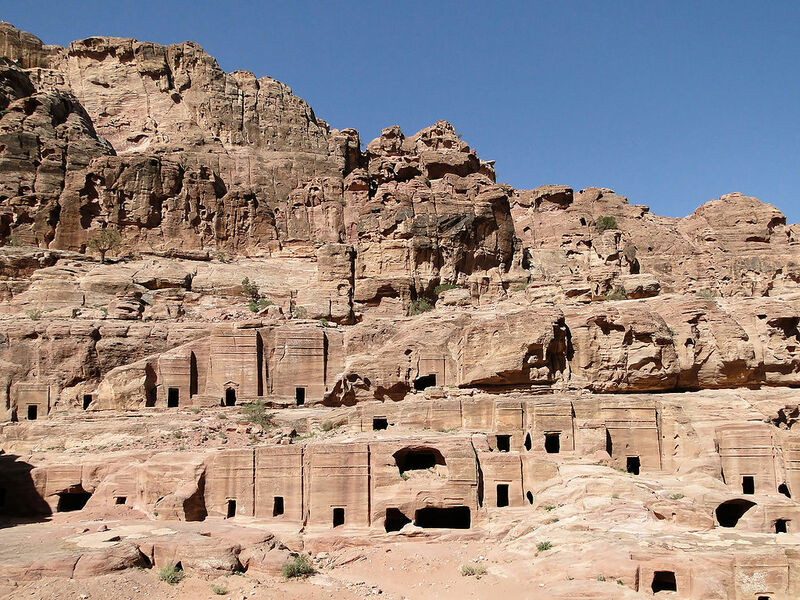 Petra is ancient, but it faces problems that threaten its future. Tourism has taken its toll—the site is visited by hundreds of thousands each year—and so have restorations of the site, which have been badly-executed. Water has been channeled and drained improperly, causing erosion; floods have extended the damage. The government, realizing that the problem was serious, recently began cooperative efforts with the Petra National Trust, an organization designed to protect the site. 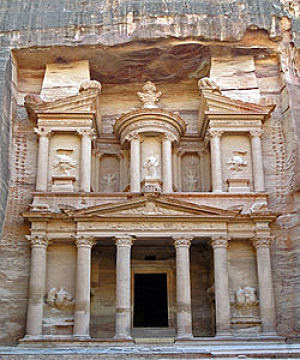 Experts believe that Petra was carved into the rock about the year 1500 B.C.E. ; but it had been a place of refuge from much earlier times. In fact, it is mentioned in the Bible more than once. 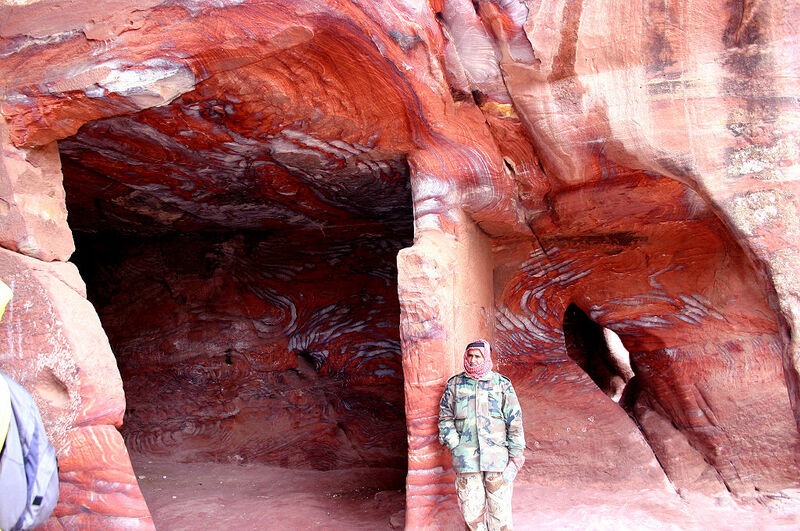 The original inhabitants were ancestors of the Nabataeans, although the culture was heavily influenced by Egypt and Greece. 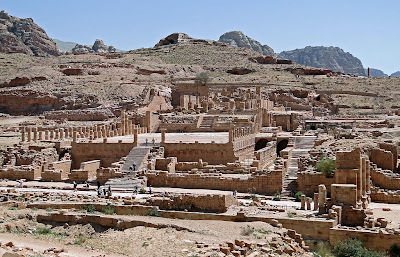 Eventually Rome came into possession of the site, and Nabataean rule came to an end. 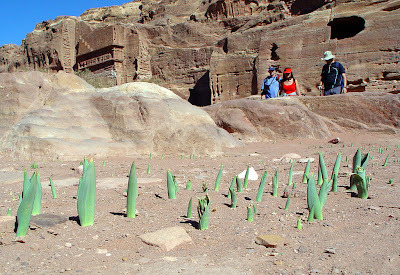 Petra was located in a dry, desert region, and the Nabataeans became experts in the art of using and conserving water. They created a system of dams, canals and reservoirs, and were able to keep their land irrigated. 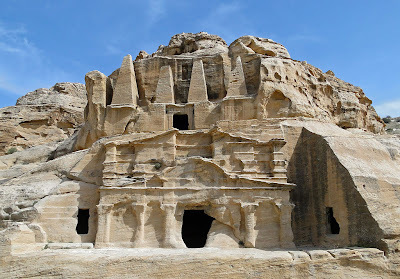 The Nabataeans were traders, and they traveled the Silk Road as far as China, trading spices and other goods. 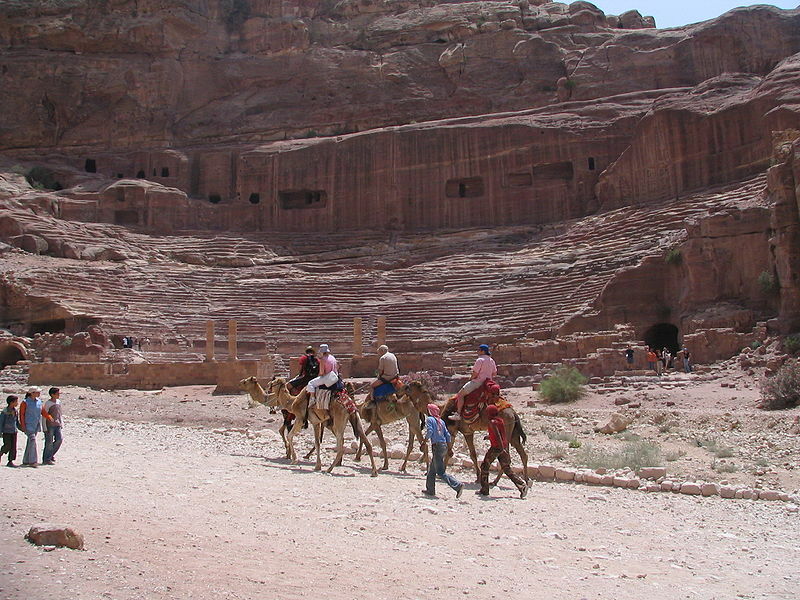 Petra, as their capital, became an important center of trade. But Rome changed many of its trade routes as more and more land came under its control. These changes led to a decrease in Petra’s trade, and eventually to the city’s decline. It sustained heavy damage from an earthquake in 363 C.E. 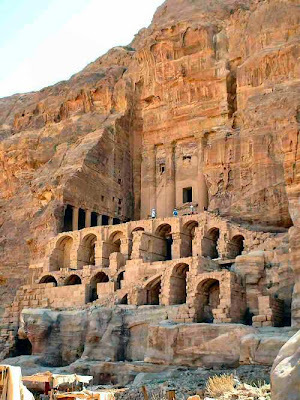 Abandoned and weakened by time, Petra fell victim to thieves who raided tombs and carried precious artifacts away. The city was all but forgotten for centuries, particularly in the Western world. Then, in 1812, it was ‘discovered’ by Johann Ludwig Burckhardt, a Swiss adventurer.